Want to get more details of specific attractions in Hong Kong? Have ideas on Hong Kong places to visit? 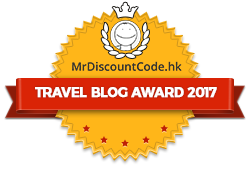 Want to write guest posts things to do in HongKong? Look for ad placements and/or business partner? You can also find me on Facebook, Twitter and Pinterest. Thanks for contacting Hong Kong Travel Guide. Detailed schedules are usually released by authorities when CNY gets closer. But it is a norm that the CNY Parade and Fireworks Display are held on the first and second CNY day respectively, while CNY flower markets are opened a few days before the festive day. There are celebrations throughout the first fifteen days. You may want to check the dates of CNY public holidays here and the CNY events here.